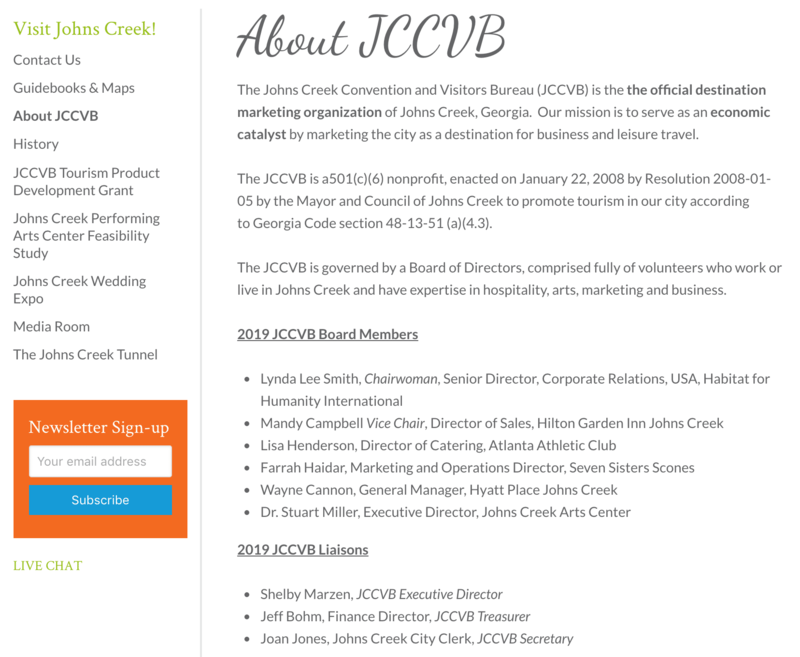 Recent FOIA Documents EXPOSE the CVB NOT in Compliance with the MOU or with the Georgia Sunshine Laws regarding Public Notices. Back in September 2016, CVB signed? 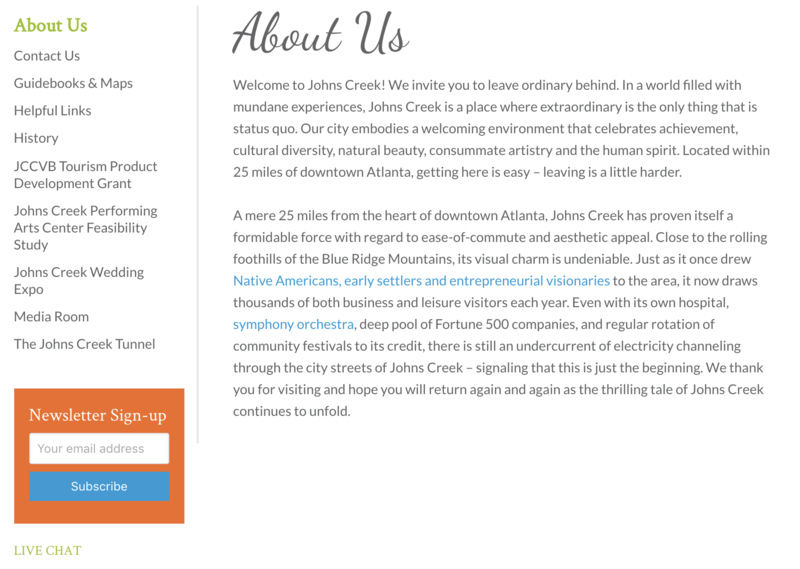 an MOU with the City of Johns Creek. An MOU is a memorandum of understanding, a type of agreement between two parties. In this instance the Municipality and CVB. There has been much confusion, lack of communication and awareness over the CVB activities. Read up on our previous post here, and here. 1) City Clerk Joan Jones & Financial Director, Jeff Bohm are not on the CVB board. Within the MOU, it is stated they “Shall Serve”. Six of the Seven CVB Board seats are filled. The CVB has Not replaced former Council Candidate, Vicki Horton who was on the CVB Board last year for 4 months. Our FOIA request for the Public Notices of CVB meetings resulted in copies of faxes to Appen news. This is not proof it was publicized or “Proofs”. Most of the meeting dates happened within a few days of the faxes. There is no written request for it to be published online or in print, just checkbox for review on the cover sheet. CVB accomplishments have included the painting the Johns Creek Tunnel, 4 kiosks (~$14K), $25K Wall that Heals, $30K Tourism Promotional Video by Chip Wade, and now the pursuit for Gateway Markers. 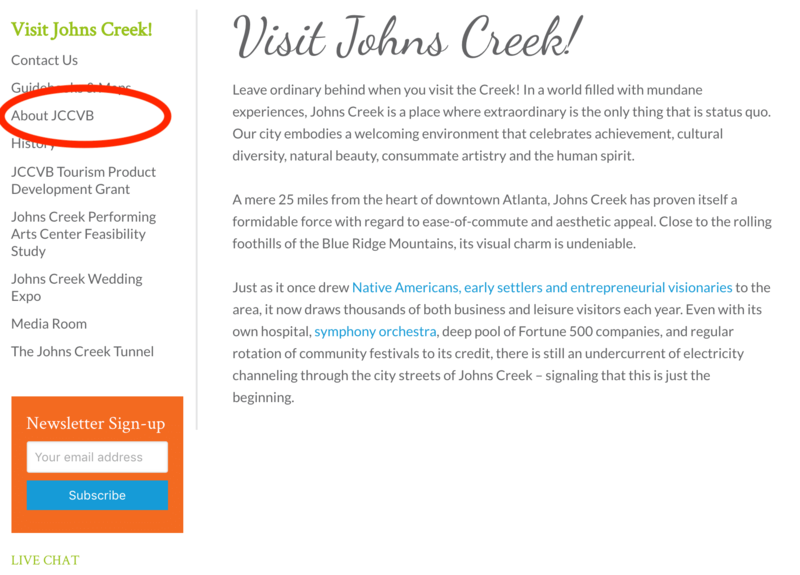 Update: Did the City of Johns Creek and CVB sign an MOU? If not, why not? Why is there just a draft within the City Documents? If that is the case, why was no official agreement undertaken? 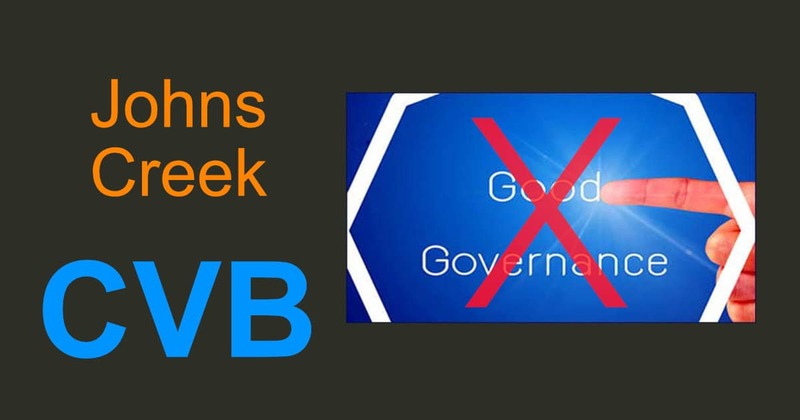 CVB takes corrective action on its website, and lists it Board Members, links to its meeting dates and provides more information than the previous chatbot. Where is the executed MOU? Excellent point. We updated the post. If it is missing or overlooked from the staff, why? Did the City not pursue an MOU with the CVB? If so, Why Not?